Double Draw Tarot Bags - Lime Lava Double Draw Tarot Bag - Tarot Bags, Tarot Cards, Cloths, & More! 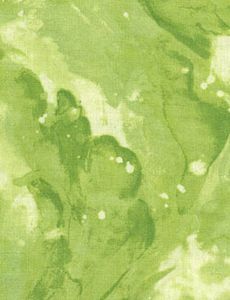 Fluid blends of lime color wash across this fascinating fabric. Size: The Regency-style ruffled tarot bag is 7-1/2 x 5 x 1 inches. It fits most standard sized tarot decks that are up to 3-1/4 x 5-1/2 inches. There is an one-inch ruffle on top and an one-inch gusset (tote style) at the bottom. 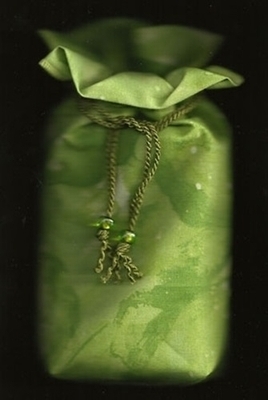 It is made of cotton and closes with two drawcords made from 34 inches of light green twisted rope decorator cord. The tips of the cords form small tassels. Suggested Tarot Deck Coordinations: Tarot of the Gnomes, Tarot of the Spirit World, Mantegna Tarot, Tarot of the Holy Grail, Tarot of the Master, China Tarot, Native American Tarot (Tuan-Tisselli), Tarot of the Journey to the Orient, Viking Tarot, Bach Flower Inspirational Cards, Art Nouveau Oracle, Flowers of Love, Voice of the Trees, The Spirit of Flowers Tarot, The Fairy Tarot, Mystic Faerie Tarot, Dame Fortune's Wheel Tarot, and the Elemental Tarot. Note: beads on cord in picture are no longer included with this bag.